VoipDiscount | Voipdiscount for Mobile : VoipDiscount Review | Free Pc to Phone Calls, Free Voip Calls to India International ! 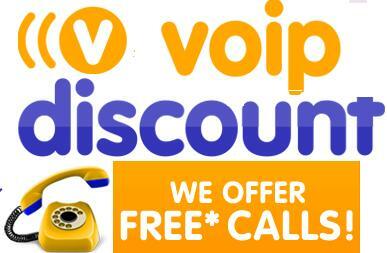 VoipDiscount, is another voip provider by betamax voip services. Much like other betamax voip providers, VoipDiscount also provide some cheap deals. VoipDiscount Reates are very cheap as compared to other international calling card providers. Today we will be reviewing this betamax voip service : VoipDiscount. Thanks for one of our reader for asking for this post. Though the betamax companies do not have a good reputation, however many people still prefer to use betamax service simple because these offer very cheap calling rates. It is a good option if you want to make cheap calls to India. So, you can give a try to VoipDiscount. First let us see some details about this new voip service : VoipDiscount Calling! VoipDiscount offer Free Calls to many countries : USA, Russia, UK, Sweden. If you are using VoipDiscount making cheap calls to India, then you have to pay just 1.09 cent per minute for calling Indian mobiles and 1 cent per minute for calling Indian landlines. The calling rates for VoipDiscount is very low for making calls to India. We are hoping that these rates will remain the same for calling India so that people can enjoy cheap calls to India. I would suggest you guys to buy the minimum credit from VoipDiscount (always buy min credit from betamax) as they can increase their calling rates anytime. VoipDiscount offers free calls to many countries under the SuperDeal. You can make free calls to about 40 countries for about 120 days. Trial Users : To counter misuse of the network VoipDiscount has limited these free calls for the trial users. Paid Users : If you want to enjoy longer free calls to these destinations, just top up your account by buying credit. VoipDiscount Freedays Buying credit entitles you to 120 Freedays. This means you can call all countries marked as "Free" in our rates list for a period of 120 days at no costs. When the 120 days are over, the normal rate will be charged for these destinations. You can get more Freedays by topping up your account with credit. Lets check out some ways which you can use to make free calls by Jumblo. Download Jumblo voip software PC application. It is free to download. Download Link. If you have smartphone then you can install the VoipDiscount app in your mobile : Android, iPhone, Nokia, Windows Phone etc. If you don't want to install the VoipDiscount software, you can also make calls from your normal mobile or fixed landline. VoipDiscount offers local access numbers to make cheap calls. It works like normal calling card where you first call the local access number and then destination number. So as we said, you can either download VoipDiscount and make Pc to Phone Calls, or you can use SIP as well. Lets look at the SIP settings of VoipDiscount. If you have smartphone, then you can install SmartPhone app on your mobile : VoipDiscount voip apps on iPhone, Android phone or Symbian phone. You can use Low Caller Mobile app on any phone to make calls from VoipDiscount. VoipDiscount works really good on iPhone, iPod Touch, iPad or Android, works equally great on your Mac ! VoipDiscount offers free calls to many countries under the Super Deal. So here is a list of free destinations. Argentina, Australia, Austria, Belgium, Canada, Cyprus, Czech republic, Denmark, Finland, France, Greece, Hong kong mobile, Hungary, Iceland, Ireland, Italy, Japan, Luxembourg, Monaco, Netherlands, Norway, Poland, Portugal, Russian federation [moscow], Slovenia, South korea, Spain, Sweden, Switzerland, Taiwan, Thailand mobile, United kingdom, United states mobile. If you have tried VoipDiscount and satisfied with betamax companies, please post your feedback. If you are facing any problems with VoipDiscount then post your questions and problems in comment section. Hope we can help you out. They charge handling charges of 7% on each credit, so be aware. I tried to buy credit on their website. Minimum starts at 10€ and on confirmation page it displayed a Handling fee of 0.7€. How to make cheap calls from Greece? It's cheaper than you think! Want to talk with your family or friends? Don't want to pay a lot? Try Smartgroschen - the smart app for chat and calls. Call any directions from Greece at low cost or make cheap calls to Greece - no matter where you are. You can also try to call from tablet, because with Smartgroschen you don't need a simcard. Try it for free - you have free 0,50 EUR top-up at the start!